Why choose a compostable BioBag? 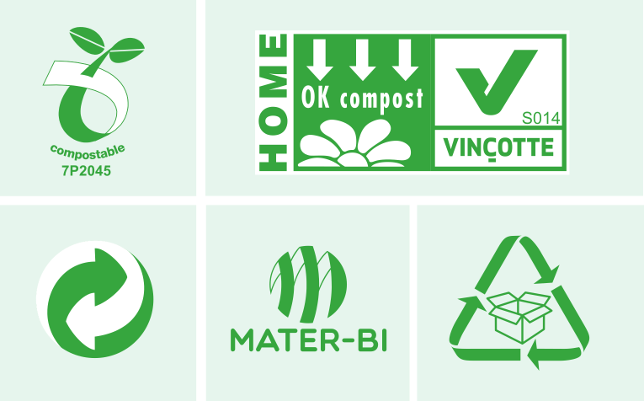 BioBag products are 100% certified compostable. That’s more than just ‘biodegradable’. Function, quality and standards are equally important – to us and to our customers. Products that claim to be ‘completely compostable’ have to be certified as such by a third-party, certification authority using accepted European, US and/or Australian standards. Composting involves breaking down organic waste using millions of tiny microrobes, in the right conditions, with the right levels of heat, water and oxygen, to create a rich, soil-like substance. Simply claiming that a product is ‘biodegradable’ as an interchangeable term for ‘compostable’ can be confusing for consumers. The fact is that, in time, most things are biodegradable. But that process can take hundreds of years for some plastics. So, not everything that is biodegradable is environmentally friendly. The specifications met by BioBag products require that our products completely decompose, in a composting setting, within a specific time frame (around 6 months) leaving no harmful residues behind. That means that ‘on our watch’, when a BioBag bag breaks down, there are no tiny fragments of plastic left behind in the natural world. No tiny pieces of plastic which could be consumed and build up inside mammals, fish and even insects. That’s the type of bag we make. That’s the kind of world we want. All of our compostable BioBag products, bags, sacks, and films are certified compostable and biodegradable according to the European Standard EN 13432, the US Standard ASTM D6400 and the Australian Standard AS 4736. 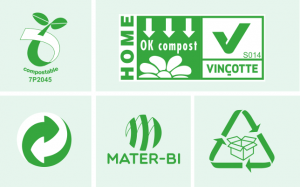 BioBag holds compostable and biodegradable certificates issued by several certification institutions like AIB Vincotte (OK Compost), DIN Certco, BPI (USA) as well as other specialized certifications such as the GMO-free certificate. BioBag customers are confident that they are using the most environmentally friendly products of the highest quality.